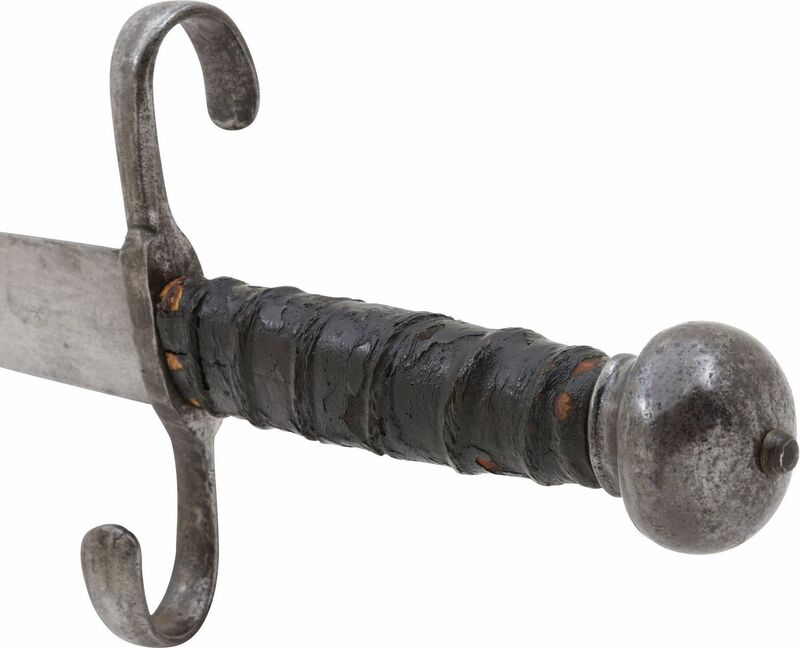 Early 16th century, The sword of the legendary mercenaries, the Landsknects, Its massive 36” unfullered blade was able, in skilled and practiced hands to breech all but the heaviest armor plates and long enough to reach an enemy horseman or foot soldier. The cross guard is capable of intercepting a blow and possibly fouling a blade, but offers no further provision for protecting the hands as its owner wore gauntlets which provided that protection. Classic representing the culmination of the evolution of the broadsword through Gothic period. 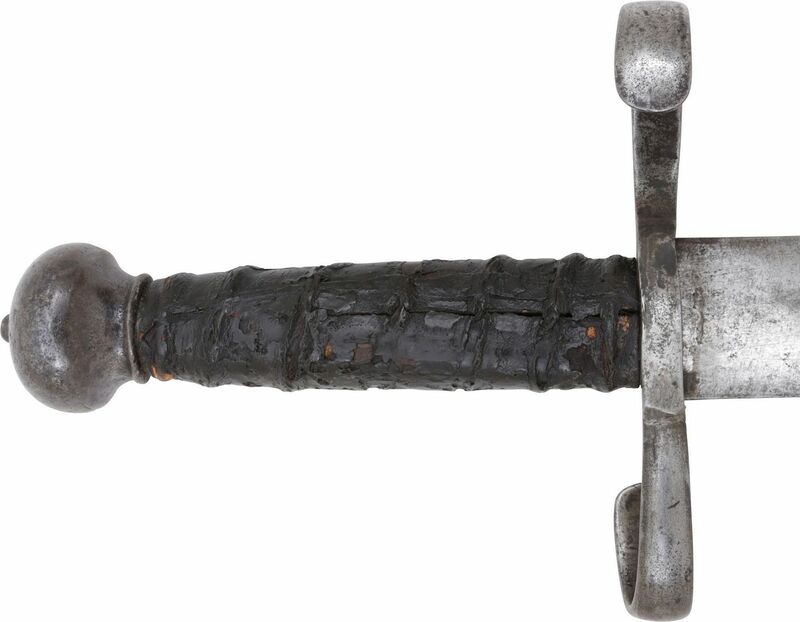 See Swords and Daggers in the Tower of London, Plate 16b, for a similar and related example.